Hotel R Paradise is a modern budget hotel with cosy and bright rooms, located in Civil Lines, Bareilly, which is close to Bareilly junction. The hotel has a spacious banquet hall for special events. 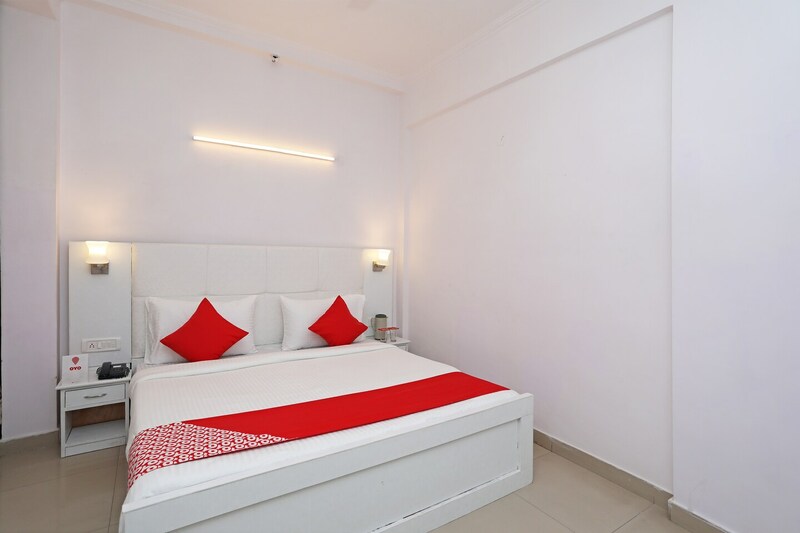 The rooms are trendily furnished and have bright white walls. All the rooms of hotel R Paradise are equipped with a television, an air conditioner, and a king sized bed. The bathrooms have geysers. The hotel offers free Wi-Fi, power backup, and laundry service to its guests. In order to ensure security of guests, CCTV cameras are installed here and there. You can make your payment through cards here. Tourist spots like Trivathi Nath Templee, Fun City, Ahichhatra are nearby. You can explore nearby food joints like Sadda Adda, Cafe Fusion, and Lavazza.